For those of you who mostly read us online, I want to highlight The Appalachian Voice and the phenomenal people who work so hard to make it amazing. 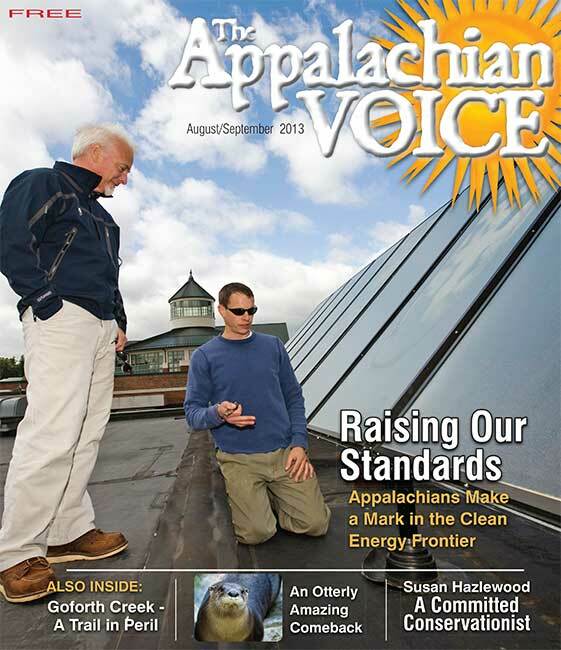 The Appalachian Voice is our print publication, which is distributed to folks across Appalachia and the Southeast on a bimonthly basis. Go check it out! Chattanooga was the perfect place to host SEJ this year. I found it to be a city striving to make a difference, embracing the future rather than fighting to stay in the past, while also faced with environmental concerns beyond it’s control, including a river challenged by a nuclear power plant, a massive electric dam and invasive species. As for the conference itself, SEJ always draws a particular breed of journalist striving to move beyond the drudgery of everyday reporting and mainstream stories to convey news that has a true potential to change the world. For those who hadn’t heard of us, it was a great opportunity to introduce Appalachian Voices to writers, bloggers, broadcasters, reporters and others. Given the focus of this national conference on energy and sustainability trends in the U.S., it’s clear that our work is more important than ever. 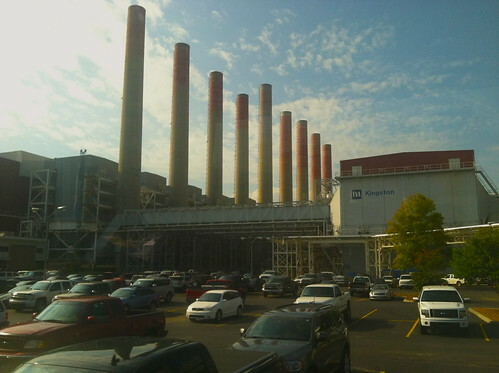 I was fortunate enough to speak to a busload of 40 or so journalists who took a day to tour TVA’s Kingston coal plant and coal ash disaster site. It was a really amazing experience, having grown up nearby and having been on site just a few days after the disaster in 2008. 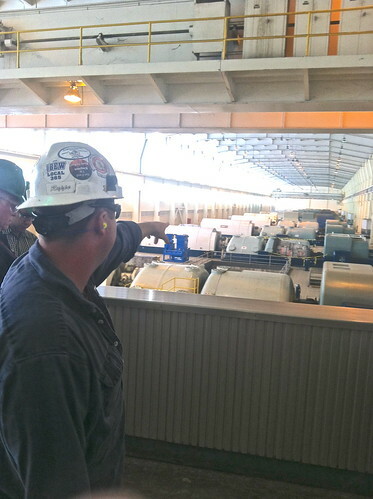 Plus, despite having done this work for almost 10 years, I had never had the pleasure of a guided tour of a coal plant. It was a great chance to learn from some of the folks who work there year-round (even though the plant was idled at the time), and there is nothing quite like standing in the middle of one of the control rooms at a power station. Speaking of progress in our region, there is good news to report. Firstly, TVA has sent out their first Green Power Switch newsletter, reporting that the Green Power Switch program is the ranked second among similar solar programs behind Sacramento. Meanwhile, Platts and others are reporting that TVA has severely curtailed their use of Central Appalachian coal, including coal from mountaintop removal mines. Appalachian Voices has urged TVA to move in this direction for the last two years. You can see a presentation from the Coal Institute here, which includes summaries of TVA’s portfolio, including coal consumption by source basin. Another reason TVA is relying less on coal in general is because 2013 has been a record year for hydroelectric generation. And lastly, please check out this amazing MetroPulse article about coal mining on the Cumberland Plateau. It is one of the best and most thorough articles I’ve seen on the realities and difficulties facing mining communities in the Volunteer State, and features many of our friends, including Carol Judy and Vickie Terry.